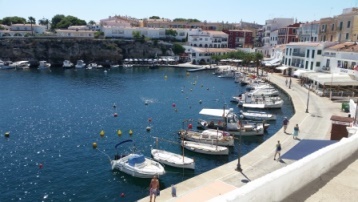 Spain is well known for its food and Menorca has plenty to offer. From Tapas (light snacks), Menu del dia - menu of the day, a legacy from the Franco days - a meal fro the workers, great value at between 12 to 15 Euros for 3 course inc bread/wine, to great 'A la carte'. 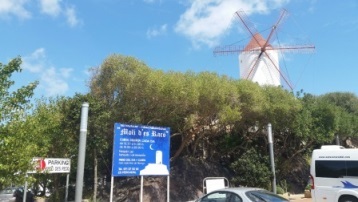 In the centre of the island at Es Mercadal is Moli Des Raco, the 'wind mill' restaurant, my favourite restaurant on the island!!. 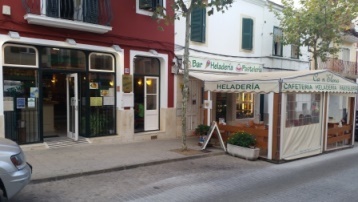 Well worth a visit for the local Menorcan food, along with the 'Menu del dia'. A lot of the waiters speak good English. Suggest you get there early for Spaniards, ish 13:30!! Tel +34 971 375392 opening 12:30-16:30, 19:00-00:30. Cala Fons at Es Castell. A romantic location, during the day or at night. Plenty of restaurants and bars to frequent along the harbour edge. 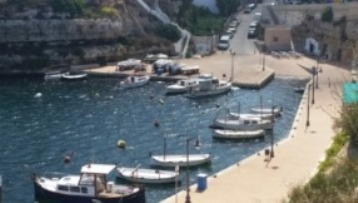 Located in Cala Fons at Es Castell, at the end of the bay at the upper level is Club Nautico. 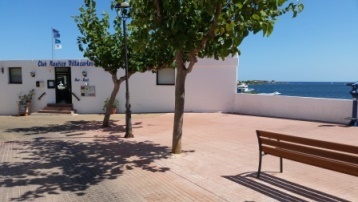 Excellent sea food, meat and 'Menu del dia' each lunchtime, along with 'A la carte'. No reservation usually needed. 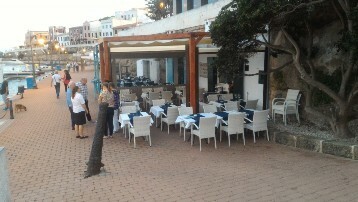 On the main access road to the square in Es Castell is Bar Espania, excellent Menu del Dia plus 'A la carte'. Good English spoken, make sure you get there early, or late! The Cafe to the right is nice for a coffee any time of the day! 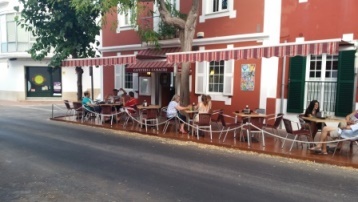 Bar Camacho in Es Castell is great for Tapas and meals, nice street setting day and night. Busy with tourists and locals alike, local authentic cooking. This is a new restaurant opened in 2016 and well worth a visit for local sourced food, from the sea and land. Very friendly owners with excellent location by the waters edge, just below the Hamilton Hotel. In Es Castell closer to Mahon is the smaller bay of Cala Corp. Nice restaurant up the ramp, Cas Pintor, plus others on the walkway.